The fourth edition of this classic work on circuit design gives you the understanding and practical know-how to produce optimized, reliable, cost-effective electronic circuits. It bridges the gap between the theoretical learning that most university courses provide and the practical knowledge and application that comes from years of experience. Topics covered include analog and digital circuits, component types, power supplies and printed circuit board design, plus new coverage of the latest advances in electronics since the previous edition published. 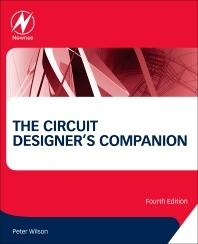 The Circuit Designer’s Companion is ideal for Professional electronics design engineers, advanced amateur electronics designers, electronic engineering students and professors looking for a book with a real-world design outlook.